Facebook (Nasdaq: FB) is a company that grew into a market leader by creating a market. In 2010, the company was so well respected that a movie covered the company’s story. In “The Social Network,” viewers learned that “in 2003, Harvard undergrad and computer genius Mark Zuckerberg (Jesse Eisenberg) begins work on a new concept that eventually turns into the global social network known as Facebook. 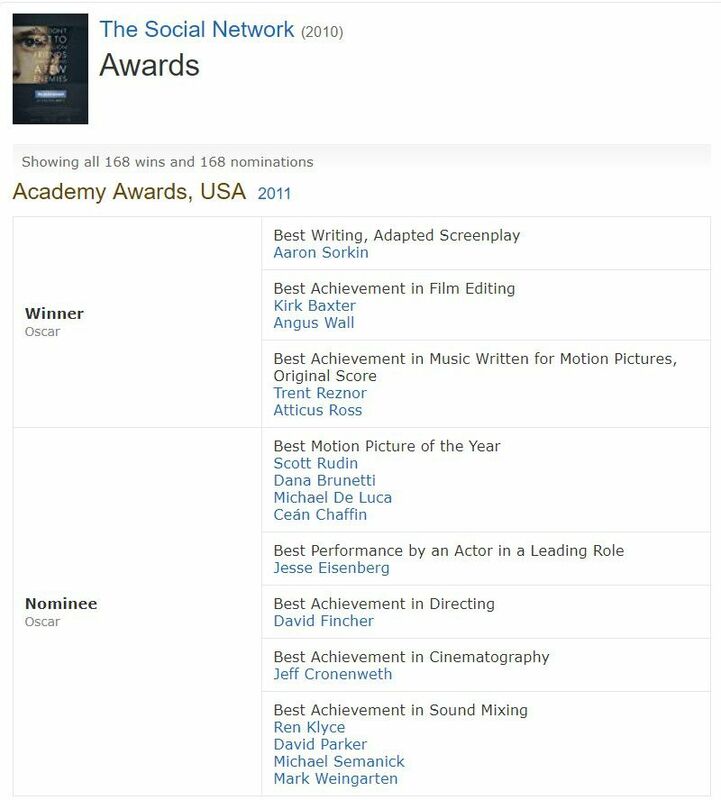 The award winning movie was a hit with viewers, critics and award shows. “Cambridge Analytica, a political consulting firm that did digital work for Donald Trump’s presidential campaign in 2016, is reportedly shutting down after recent ethical and legal questions about its business practices. The Wall Street Journal’s Rebecca Ballhaus and Jenny Gross report that both Cambridge and its British parent company, SCL Group, will disband amid a growing series of scandals. 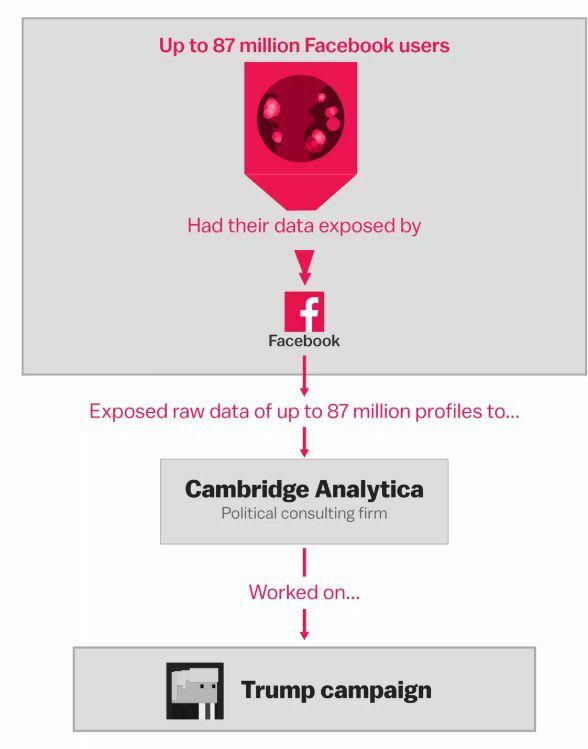 In March, the New York Times and Observer reported that Cambridge obtained private Facebook data — specifically, information on tens of millions of Facebook profiles — from an outside researcher who provided it to them in violation of his own agreement with Facebook. “We believe the Facebook information of up to 87 million people — mostly in the US — may have been improperly shared with Cambridge Analytica,” Facebook’s chief technology officer wrote. Even before all this, though, Cambridge was under scrutiny in special counsel Robert Mueller’s investigation of Russian interference in the 2016 US presidential election — both because Nix contacted Julian Assange of WikiLeaks that summer to discuss hacked Democratic emails and because of broader questions about whether Trump’s digital operation collaborated with Russians in some way. This was the start of problems associated with concerns about privacy and these problems have compounded. CNBC recently reported, “The Federal Trade Commission is considering imposing a “record-setting fine” against Facebook for allegedly failing to protect users’ data, The Washington Post reported Friday. Three people familiar with the discussions but unauthorized to speak on the record reportedly told the Post about the fine. Facebook’s stock slid slightly after the Post’s report was published, but shares remained positive for the day. Facebook was accused of misusing personal information of its users when reports last year found political consultant agency Cambridge Analytica used personal information from millions of Facebook users without their explicit consent. Following the reports in March, the FTC launched an investigation into the company’s data practices. The fine is expected to be in excess of the $22.5 million fine the FTC imposed on Google in 2012 for allegedly violating an agreement to improve privacy practices, the Post reported. Sources told the Post Facebook has talked with FTC staffers about the investigation. Facebook signed a consent decree with the FTC in 2011 that required the company to receive explicit permission from users before sharing their personal data. In March, Bloomberg reported that the FTC’s probe would look into whether Facebook violated the agreement. Since the details of Cambridge Analytica came to light, a number of other data privacy scandals have come up as well. Last month, the company admitted it allowed other major tech firms to read users’ private messages, though it denies that this was done without users’ consent. The company also disclosed a security breach in September that impacted as many as 50 million users. It later said only 30 million had been affected. A record setting fine might not be significant for Facebook which has more than $9.6 billion in cash. With the resources to pay any penalties imposed and to continue investing in its operations, this could make the stock a bargain. After its significant sell off over the past year. Analysts expect FB to report earnings per share (EPS) of $7.39 last year, $7.42 in 2019 and $8.57 in 2020. The company is expected to report fourth quarter and full year results for 2018 around February 4. That could be an important moment for the stock and could result in volatility. In the long run, analysts expect EPS growth to average about 18% a year. The earnings growth rate can be used as a valuation metric known as the PEG ratio. This metric compares the stock’s P/E ratio to the company’s reported EPS growth rate. The PEG ratio recognizes that investors are willing to pay a premium for growth. In fact, companies growing earnings at 18% a year, for example, should have a higher P/E ratio than a company that is growing earnings at 3% a year. The PEG ratio recognizes this fact. The ratio is found by dividing the P/E ratio by the EPS growth rate. A ratio of 1.0 indicates a stock is fairly valued. PEG ratios less than 1 highlight stocks that are undervalued no matter what their P/E ratio is. PEG ratios greater than 1 show a stock is potentially overvalued. Using this metric, FB could be worth about $133 a share and by this method is overvalued at the current price. That means investors could consider waiting for a better price before buying.